Club Penguin Cheats by Mimo777 Club Penguin Cheats by Mimo777: Club Penguin Billybob Announcement! Breaking Club Penguin news! I have just received an email directly from our old pal Billybob! It's been a while but I thought I would let you know that I will be returning to Club Penguin later this summer. I have been talking to the team a lot and they are very excited for my return. Once I'm back there will be many changes that I've been wanting to do for quite some time. 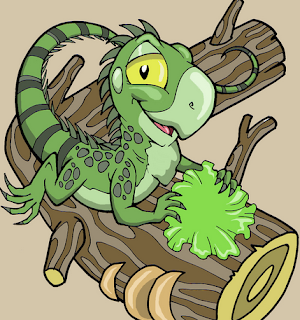 One being we are going to be changing the penguins to iguanas. The team isn't crazy about it but I think I've convinced them! So, I just thought I would let you know that little hint for the future. Iguanas!? Seriously!? Ok when I first read this I was so excited for Billybob to be coming back! But now... I don't know. How do you think this'll affect CP? Will it finally crash and burn after that character change? Or will CP get back on top? mimo dont freak out i think he just meant that we will get to turn into iguanas at a party. It is an april fools joke. Hate Billybob! It will crash it down . Nobody will go on it and.it will be called club iguana. Terrible.news for me cuz I broke my foot. I thought about this, IGUANAS? LIKE SERIOUSLY? WHY CHANGE THE WHOLE WEBSITE TO LIZARDS FROM PENGUINS? WERE ALREADY IN IGLOOS AND THERE IS SNOW EVERYWHERE AND WE NEVER FINSHED THE SNOW JITSU- oh wait its still April Fools day. I dont know if you or Billybob was behind this, BUT GENIUS. What does he mean when he said we will be able to change into iguanas? During a party? I'm still bummed there is not an April Fools Day party. I have a feeling I won't like this new iguana idea either. 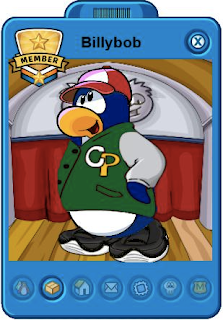 I liked CP a whole lot better back then. I don't know if I'm getting too old or it's just getting worse each year. please tell me this is a joke. so mimmo if this is a joke please reply to me! Is it going to be called CI or is this for a party? Happy (late) April Fools! APRIL FOOLS DAY IS GONE, SO YOU'RE THE ONE FOR CARRYING ON!! I hope this is because of April Fools Day because if not, IGUANAS??? WHAT THE FREAK??? Is this an April fools joke? Plz plz plz say that it is! I think its just a april fools joke. Like seriously mimo? This has to be an april fools joke, because if not the joke will be on cp if they allow that to happen Iguanas are u serious? what a disaster waiting to happen. and farewell to cp if it does they wont get any of my money for that nonsense! Fabuloussup! I feal the same way BRING BACK OLD CP i mean they changed everything i just got back on after a few year and im like what website is this?!?!? well the iguanas thing is April Fools, but maybe Billybob returns is true.Look at the end of the message, it said "little hint for the future", and what exactly is that hint? I wonder what it leads up to..
Hey Mimo, don't take this very seriously as he sent you the e-mail on April Fools Day and he was just joking around. Another fact could be that this is an idea for a particular party to celebrate the hot weather over in America (even though it is Winter in Australia). Hope these ideas are accurate. I knew it was fake after I read the first sentence. Hahaha...XD Reminds of Thinknoodles (Owner of the Insiders Network) April fools joke! Good one Mr Mimolot of jokes/pranks!